Mick Phillips' doctor is surprised he's still alive. The 69-year-old Wisconsin man was diagnosed with late-stage lung cancer in 2010 and his doctor said he had less than a year to live. "For all intents and purposes he shouldn’t be here," says Phillips' oncologist, Timothy Goggins. Dr. Goggins and Phillips both credit his survival to a lung cancer drug that isn't available in the U.S. and that Phillips has had to purchase illegally in Cuba. U.S. researchers think if the treatment works it could be used to prevent lung cancer in patients that are high risk. Roswell Park Cancer Institute in Buffalo, New York has begun testing CIMAvax, the Cuban-developed immunotherapy for lung cancer. If successful, the trial will pave the way for potential FDA approval, after which the drug could become commercially available in the U.S. The medicine has relatively minor side effects and appears to have prolonged the lives of patients who have stage four lung cancer. CIMAvax stimulates the body's immune system to fight the lung cancer. In this way it's a vaccine, but one that you take to stop the spread of late-stage cancer rather than prevent it in the first place. “It’s like a flu vaccine," says Dr. Grace Dy, principal investigator for the trial. "It’s the same concept. You give a drug so the body develops an antibody to the drug; you’re using your body’s own natural systems to develop a therapy." Lung cancer kills nearly 160,000 Americans annually. Most people are diagnosed at a late stage and more than half die within a year. This is likely the first time the FDA has allowed a clinical trial of a Cuban-made therapy in a U.S. health care facility. It's not uncommon for the FDA to allow U.S. clinical trials in order to study therapies from other countries. 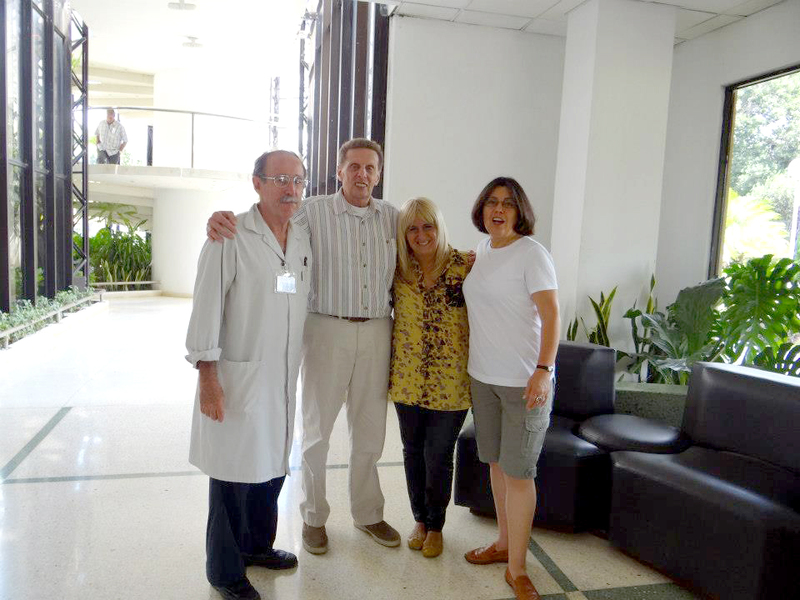 It is extremely rare, however, for that therapy to come from Cuba. As of mid-November, nearly 200 people had applied online to participate in the 60-90 person Phase II and Phase III studies. "I’m not surprised that there’s interest,” says Dr. Dy. “When you have cancer and it’s potentially life-threatening you want to explore all the options." Mick Phillips didn't think he had much longer to live when he brought back CIMAvax from Cuba in 2011 and asked a nurse friend to give him the injections. "He had a 5 percent chance of living five years," says Dr. Goggins who practices at Fox Valley Hemotology & Oncology in Appleton, Wisconsin. Today, Phillips is in remission from stage 4 lung cancer. Lung cancer cells feed off a protein called epidermal growth factor or EGF. The protein supports normal cell growth but also fuels cancer cells. The vaccine triggers the immune system to create antibodies that bind to and remove EGF, thereby starving the cancer of its "food." Normal cells can live without EGF and use other growth-promoting proteins instead. But the cancer cells can't, and without EGF they're unable to multiply and spread. CIMAvax has relatively few side effects when compared to chemotherapy, the traditional standard of care for late stage lung cancer. Chemo is hard on the body because it kills healthy cells (in addition to cancer cells) and causes side effects like hair loss, vomiting, loss of appetite and exhaustion. Because CIMAvax doesn't kill cells, its side effects are relatively minor, such as chills or a fever that can be treated with over-the-counter medications. 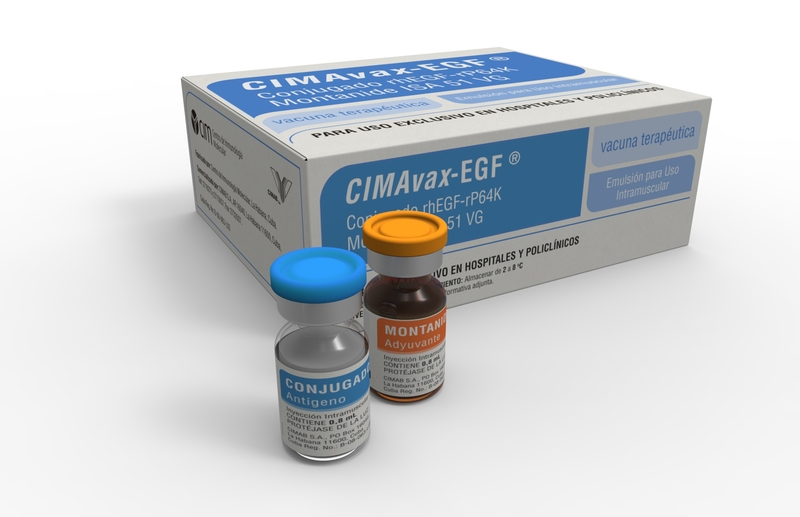 Cuban patients that responded to CIMAvax had high levels of EGF, and their bodies produced high levels of antibodies to combat the protein after they received the vaccine. Roswell Park will be looking to see if the same response emerges in its clinical trial— whether the most significant improvement is in patients with high EGF and antibody levels. If the study shows promise it could be good news for other types of cancer that also rely on EGF, such as prostate, breast and colon cancer. The most recent Cuban clinical trial of CIMAvax is comparatively small at about 400 patients, which raises questions about how reliable the findings are. UCSF oncologist Trever Bivona says the study isn't large enough to determine whether the findings are statistically significant. "I think we need a bigger more controlled study before making any conclusions," Bivona says. The other problem with the Cuba study is that it had no control group. It compared patients getting CIMAvax to patients getting palliative care. "There may be preliminary findings here," Bivona says, "but it’s certainly not a slam dunk." Will Cuban Drugs Be Approved Under Trump? If you're contemplating a flight to Havana, it's important to note that most U.S. travel to Cuba is still restricted. The U.S. Treasury Office of Foreign Assets Control says people and companies can apply for a specific license to visit Cuba and purchase pharmaceuticals like CIMAvax. 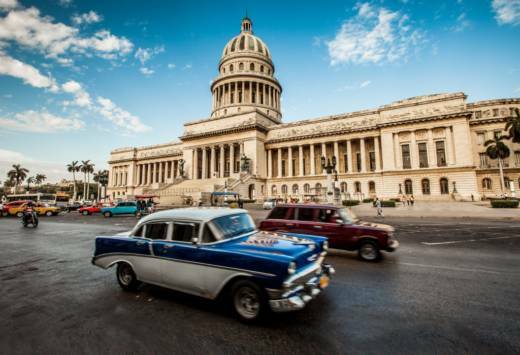 Because the relationship between Cuba and America has warmed, federal officials could potentially approve an application due to this change in "foreign relations." However, President-elect Donald Trump has vowed to overturn all of President Obama's executive orders. Though it's unclear what that means, Obama's 2014 executive order on Cuba expanded opportunities for Americans to legally visit Cuba. And Vice President-elect Mike Pence has specifically said he will "reverse Barack Obama’s executive orders on Cuba." Regardless, Dr. Dy says CIMAvax won't be available in pharmacies anytime soon. Roswell Park will start phase I of the clinical trial this month and it'll be months before it can start phase II and then phase III. She says an ambitious goal would be to have the medicine available by 2021.